. Houston Residential Metal Roof Buying Guide | Anchor Roofing, Inc.
How to buy a metal roof according to the materials and types? There are many positive and negative sides that need to be considered. How to find and hire a metal roof contractor? Here is the guide and the answers to the questions above. The initial cost can be a bit higher than other roofing materials, but you can save a lot of money in the long run. This type of the roofing system may last a lifetime and can also increase the value of your property when selling. There are many positive sides that the metal roofing is offering, and in the text bellow, you can read about them. Metal roofing system has become very popular and many homeowners are becoming aware of the benefits of this roofing material. Nowadays, you can find a new style of metal roofing materials that are on the market. 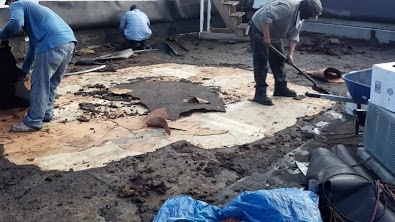 They have many interesting features like fire-resistance, lightweight, and the aesthetic look and because of the abode listed features are becoming very popular each day and most of the homeowners are thinking about installing this kind of roofing material. The metal roofing system is favored due to the longevity, speed of installation and fire-resistance. They are surprisingly lightweight and are great at reflecting the sun heat and helps you with saving the energy. Metal materials are made primarily from the steel and aluminum, but there can be used also the materials like alloys and copper, but they can be very expensive. Aluminum and steel are the most common ones and are available as the roofing material and are economical and holds paint finishes well. Another feature is the durability. Aluminum is more prone to damage and denting, and is a really soft metal, unlike the steel. But, aluminum won’t corrodes as the steel can if the finish isn’t compromised. When talking about metal materials, the best would be to determinate the fundamental look you desire for your home in Houston. There are two basic forms about the regular metal roofing: the shingles and the sheet-like panels. There are many patterns, variations, and colors. The most famous material is the standing.seam roofing and is applied vertically on the roofing surface and it looks only like metal. It has a commercial look that architects adore due to the clean and contemporary look. It is mostly used on homes on the mountains and modern buildings. This is quite different than the sheet roofing, metal is mostly formed into shapes that can imitate slate, wood or even Spanish tile. These shingles have a multiple-layer that have granulated-stone topcoats that complete the realistic effect. By choosing the metal roofing for your Houston home, you cannot go wrong. Longevity, durability, fire resistance and resistance to mold, mildew and insects are one of the great features that this material offers. Some will maybe like the contemporary look or the realistic effect, but everyone will be satisfied if choosing this material. For all your metal roofing needs you can contact us today. 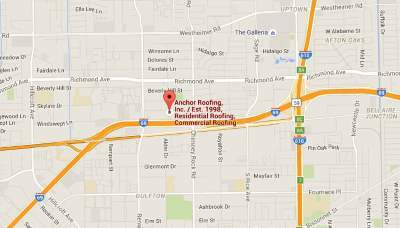 Anchor Roofing will be there for you and your roofing system. Our contractors install, replace, and repair metal roofs in the Houston, TX area, including Katy, Sugarland, Missouri, Pearland, Spring, Cypress, Galena Park, Richmond, Rosenberg, Stafford, The Woodlands, Baytown, Clear Lake, Galveston, La Marque, Pasadena, Deer Park, Sealy, La Porte, Brookshire, and Columbus.